There was a time in my life where beans and cornbread were on my shopping list every single week. I had $20.00 to spend for the week on groceries. This was before I had children, but it was a very shaping time for me as I learned so much about budgeting. I remember scouring the grocery aisles looking for recipes that I could make cheaply. I often looked for recipes on the back of mixing packages and this is one I have never forgotten about! 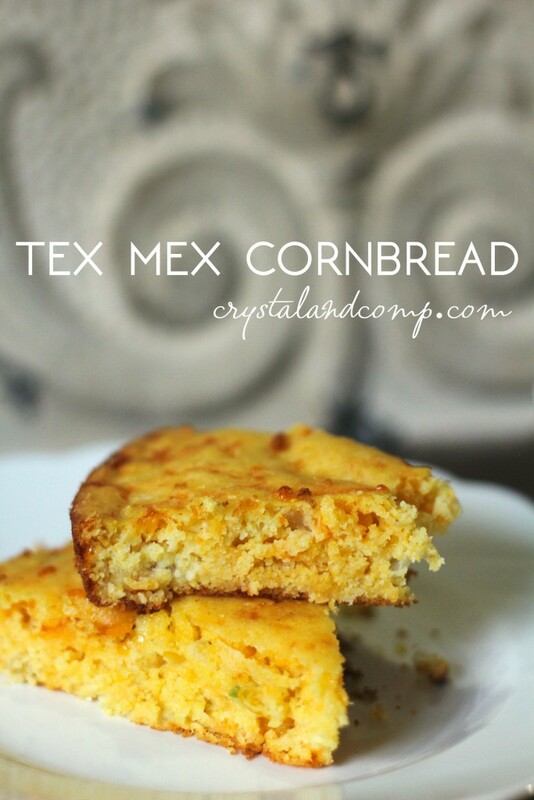 This Tex Mex Cornbread recipe is one I have made for 20 years. Most of my kids love spicy food, so this is a hit at our house. Opt for a less spicy version by taking out the jalapenos. I want you to remember, no matter your budget, no matter how busy your life is, dinner on the table as a family is totally doable! In a medium bowl, use a whisk to mix the egg and the milk. Slowly whisk in the cornbread package. 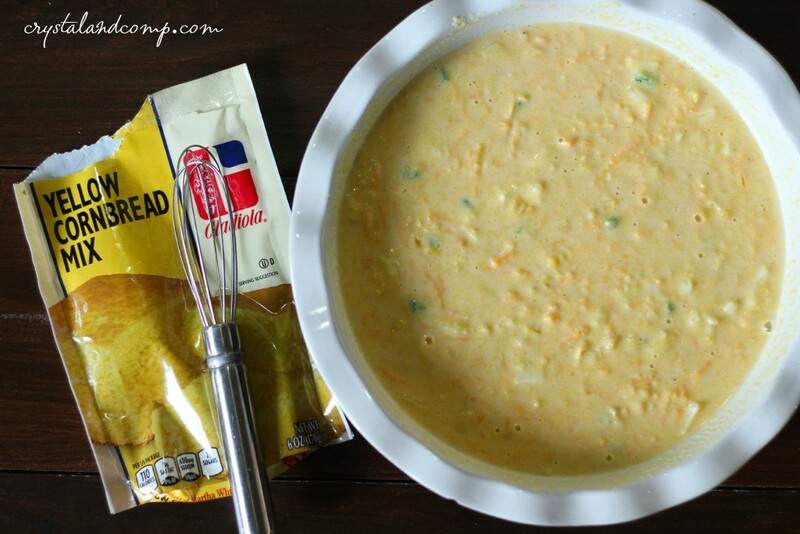 Add in the cream style corn, onion, jalapeno and cheese. 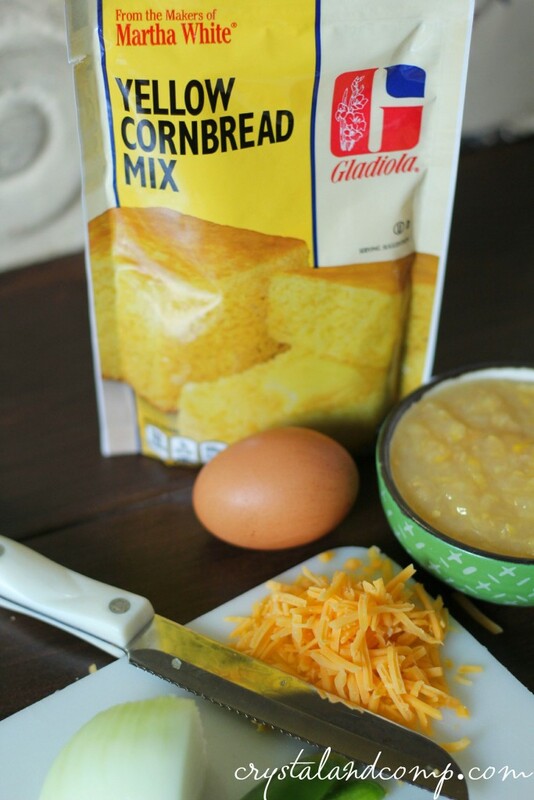 Mix well and then pour it into your favorite pan for making cornbread. I like to use a glass pie plate. Pop it in the oven for 20-25 minutes or until a knife comes out clean. Slice it up. I like to serve it warm over a bowl of pinto beans. This also goes perfectly with Taco Soup! It is amazing how something like cornbread can complete a meal. You know I shared with you recently that I know what your kids want for dinner. They want you. As a family. Together around the table. They do not care if you’re serving them something fancy or something simple. They just want time together. Meal like this are comfort food to me and things I love to enjoy with my family. What is your best tip for moms struggling to get diner on the table?